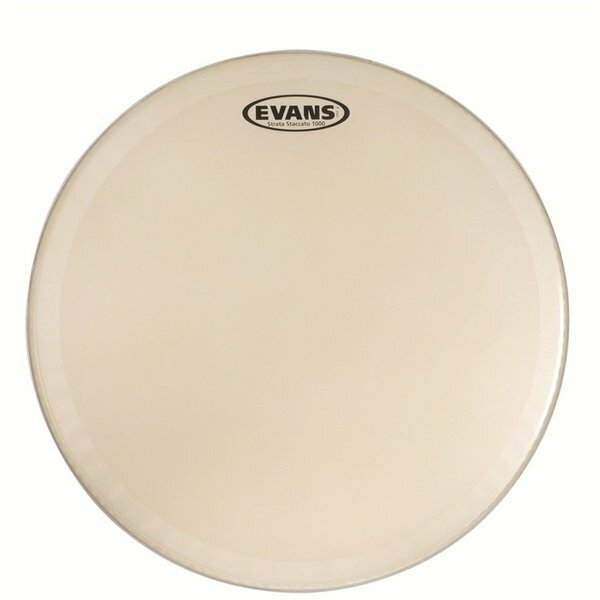 Evans™ 14" Strata™ 1000 concert snare drum head features a single ply of 10mil film with a coating that closely resembles traditional calf skin. The thicker film yields a darker timbre and warm tone resembling slightly thicker calf skin. A 2mil overtone control ring increases articulation and focuses the tone.